Do Student Loans Have a Negative Impact on Your Marriage? Do you have student loans but your spouse doesn’t? Are you swamped with guilt every time you must sit down and discuss finances? Wondering if student loans have a negative impact on marriage? There are many people who have taken out student loans to finance their education in hopes of getting a degree and a good paying job. However, if you have a ton of student loan debt and your spouse has none, it can be difficult for both individuals to see eye to eye. Let’s look at a few scenarios where conflict arises when student loans have a negative impact on marriage due to student loan debt along with some possible solutions. There are a ton of issues that people have when it comes to money in general. When you add student loan debt into the picture, it adds more intensity to an already hot subject. However, the truth of the matter is that student loans are a big issue in many marriages today. 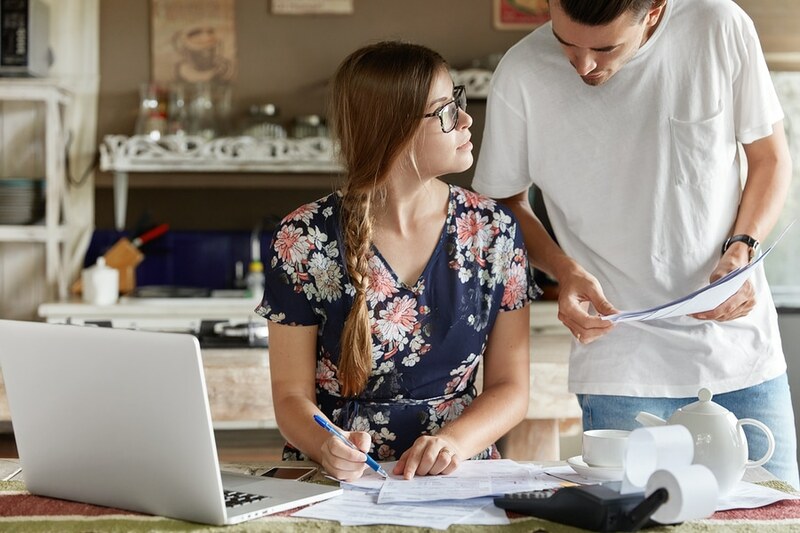 Being aware of the impact student loans have in a marriage and knowing about possible solutions that can provide a means of harmony in your financial situation may be worth the effort. Jason and Denise have been happily married for 2 years. While Jason had no debt, Denise had $60,000 in student loan debt and had only been making the minimum payments on them. Although Jason makes double what Denise makes, he encourages her to put extra money towards her student loan payments so that she can pay them off faster. Denise feels that Jason should help her pay some of her student loans off since they are married. However, Jason reasons that she signed for the loans and that she should have the responsibility of paying them back. He does not want to be stuck paying back debt that he did not incur. This is a common issue with student loans and marriage that affects many couples. One spouse does not want to pay for the other spouse’s student loans and the other spouse feels that they should. While many couples do share finances, student loan debt is not typically seen as joint debt. If you and your spouse find yourselves in this situation, here is an alternative way to remedy the problem. Jason can support Denise during this time financially by paying all or a bigger amount of the living expenses. By doing this, it frees up money that Denise has been paying toward rent and utilities. She can then apply it toward her student loan debt. Using this method satisfies both individuals by allowing one spouse to support the other by paying for joint expenses such as rent, food, and utilities; while the other spouse takes responsibility for their student loan debt by paying it off with the money that they earn. Megan and Carl have been married for 5 years and between the two of them they have $100,000 in student loan debt. With the financial pressure of the student loans weighing on her, Megan decides she does not want to have kids until they are free of student loans. She feels that having children will require more money and will add even more financial strain to their marriage. However, Carl does not agree with her and would like for them to start having children in the next 2 or 3 years. Although he understands her concerns, he does not want to wait an extra 5 or more years for them to start a family. This is yet another example of how your spouse’s student loans affect you. It’s a well-known fact that having children means an increase in your normal spending habits. The extra costs of formula, childcare, and diapers can really leave a dent in your wallet. Other things like taking time off from work can also mean missed income opportunities which can add pressure to the situation. This can cause a decrease in money being put towards debt and possibly extending the pay period further. Carl and Megan can both get a second job for the next 2 or 3 years and apply all that money to help pay off their debt quicker. If they can bring in a combined $2,000 a month from their second jobs, that would be $24,000 extra a year or $72,000 extra over the course of 3 years that can be applied to their student loan debt. This would put them on the path to clearing their debt off in its entirety within a few years. This method requires working more in the next few years but the rewards are worth it. By using this approach, the student loan debt can be paid off in full, relieving Megan of any financial stress that her student loans had over her and allowing them to start a family within a time frame that Carl does not feel is in the distant future. The couple can be satisfied knowing that they can each have what they want while putting in work upfront to make it happen. Zack and Allie both have graduate degrees and a combined debt of $185,000. However, Zack and Allie have been denied the opportunity to buy a house due to their student loan debt. After many failed tries of trying to get a home mortgage, they have thrown in the towel and concluded that they will not be able to own a home due to their income-to-debt ratio being too high. They feel that they are unable to reach their dream of homeownership and are discouraged for the future because of the hovering effects of their student loan debt. Owning a home is a milestone that many people dream of reaching once they start earning money. However, it can be rather difficult to own a home if your debt is exceedingly high compared to your income. 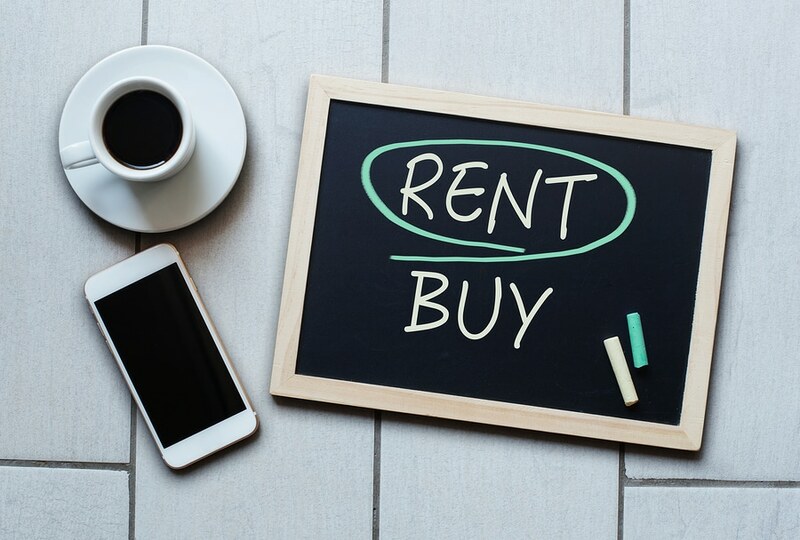 This can leave many couples with very different amounts of student loans distraught and hopeless that they may never fulfill their dream of homeownership. While this can be discouraging, it does not have to be the end of the world. There are a few things that can be done to improve the situation and possibly put you in a better position to get approved for a home loan. Pay off debts like credit cards, cars, etc. It would be a great idea to speak with a financial professional to better understand what you can do to improve your chances of home ownership. This removes the stress and gloom from not being able to own a home to outlining possible improvements and actions that can be taken to increase your chances of home ownership. When couples have options to improve their financial situation in order to reach a goal, they will likely do it. Todd and Laura are a newly married couple who both have jobs working for the state government. With their student debt in the six figures, their monthly payments leave little room for them to do anything else. With their new baby on the way, they often wonder if they will even be able to find a way out of the student loan debt and afford things like child care and vacations in the future. A new marriage and a new baby can be a wonderful time of celebration and good cheer. However, an overbearing amount of student loan debt can dampen the festivities and cause worry during a time of happiness. Since they are both working for the state government, they should consider taking advantage of Public Service Loan Forgiveness for their student loan debt. This option will allow them the ability to get on an income-driven repayment plan and qualify for loan forgiveness after 10 years of payments. Taking advantage of opportunities that are already available to the couple helps them in two major ways: a) it lessens the amount of their monthly student loan payment by reducing it based on income and b) it gives them the ability to have their loans forgiven after 10 years of payments. They can envision a brighter future for their new family that does not include a burdensome student loan payment. There are many ways marriage affects your student loans and your relationship with your spouse. Marrying someone with student debt may lead to some financial or communication issues. It’s up to you to decide whether you want to obligate yourself to help your spouse pay off their debt. Here are 3 tips for helping your spouse with student loans without paying their monthly bill. If you and your spouse regularly go out and indulge in date nights then offering to foot the bill can be a great way to support your spouse without making the payments for him or her. Opting for at home date nights where you cook together and watch movies can be cost effective and alleviate one spouse from spending money at restaurants every weekend. No matter how you flip the coin, two heads are better than one. By combining forces and contributing money towards your spouse’s student loans, you can help them to pay them off quicker. For those of you who may be turning your head up at this, keep in mind that this can be as small as paying $50 or $100 a month toward their principal. The thing to keep in mind is that every little bit counts. If you can’t fathom doing that, another way you can directly impact their student loan balance is by taking the money you would usually use to buy a birthday, Valentine’s, anniversary, or Christmas gift for them and instead apply that towards their principal balance. This will typically be easy for most couples to wrap their head around. Covering expenses like rent, utilities, food, and other shared necessities can free up money for your spouse to pay their student loans faster. For most people, this is easily done but for others, it may require an open mindset to adapt to this way of living. I will leave you all with a story that happened to my mother’s friend. For privacy reasons, we will call him Mark. Mark had a savings of over $30,000 from his job on a teacher’s salary before he got married. His wife came into the marriage owing $39,000 in student loans. A little over a year into the marriage, his wife, without his consent, used every dime to pay her student loans, leaving her balance at $9,000. I’m sure that what ensued was feelings of betrayal, frustration, and anger. Eventually, this led to a nasty divorce and Mark never recovered his money. As you can see, student loans can wreck a new marriage if you don’t communicate effectively and get on the same page financially. Whatever your situation, it is best to be upfront with your spouse and come up with a solution that both of you can agree on. While there are times when student loans have a negative impact on marriage, you can also use the debt to bring you and your spouse together to tackle the challenge as a team. Having student loans in your marriage should be looked at as an opportunity to support one another and learn how each of you can create a better financial future together. If you need some additional guidance and an extra helping hand, Student Loan Planner specializes in making custom plans for borrowers in six figures of student debt . You and your spouse can book a consult today and get expert help when it comes to determining the right strategy to tackle your student loans. Great topic! I’m currently working through how to tackle medical training debt for both my husband and myself. I just went through that with me and my wife and it definitely got intense sometimes. Best of luck! I like the way this article is structured and shares actionable tips we can use in relationships! This article was very helpful and pertinent to me. I would be interested in hearing more on this subject… Particularly how having a dual income may affect eligibility for income-based repayment. Also, when it is time for the tax bill at the completion of income-based repayment, can the IRS go after a spouses assets also? Good question Beth. Generally your spouse’s income is counted until you make so much that your payment gets capped if you’re on the IBR or PAYE plan. The IRS can probably go after anything with your name on it and if the spouse’s name is on it to then the IRS could come after that jointly owned asset, but that’s my guess.